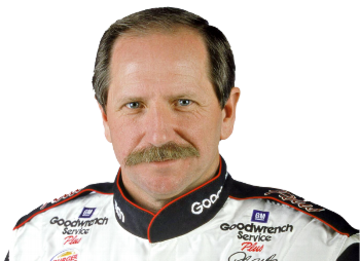 Dale Earnhardt, whose full name is Ralph Dale Earnhardt Sr., was a professional NASCAR driver who won 76 Winston Cup races during his career. Earnhardt was known for his 3 car with black and red paint, which, along with his aggressive driving style, earned him the nickname "The Intimidator." Earnhardt died in a racing accident in the final lap of the 2001 Daytona 500. His death led to a number of NASCAR reforms, including requiring drivers to use the HANS device, or head restraint, which Earnhardt refused to use claiming it hindered his driving. Earnhardt was inducted into the Diecast Hall of Fame in 2010 as an Automotive Legend.